This applies to you! How are you going to get way from your 10,000 competitors, so you’re not 10,001? At Roadside Dental Marketing, we have the secret to write great website content for the web: You have to write about your WHY! Because writing about “what you do” is so five years ago. A successful website today is not an online brochure. Your site should tell the world about what you believe in and what you value. It should explain why you are in the business and what made you get started. It’s only after this that it should tell what you do and/or how you do it. Every business should create a Unique Value proposition (UVP) before proceeding in any marketing endeavor. Your UVP contains your WHY? This should be the cornerstone of all of your branding. You should align all of your marketing decisions through it. The result will be a consistent message polarizing your audience, which builds a loyal and forgiving client base. Be hip. Be cool. Be modern! 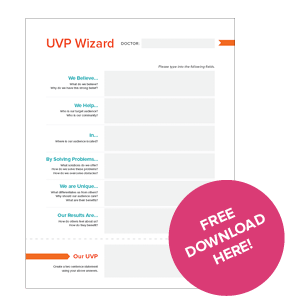 Write your voice how you would communicate to your customers because it’ll easily present your UVP. Don’t make it fluffy, vague, or clinical because it’s boring. Trust: What can you show on each page that will build trust in you over the next guy? Convenience: What can you show on each page that shows that you are doing all you can to make it easy to work with you? Proof: What can you show on each that that proves you are what you say you are? Uniqueness: What can you show on each page that shows you are different than the others? When you look at your website’s content, think about the “why,” not the “what.” The most important factor is making sure your website connects with your audience. Need us to look into your website to offer suggestions or create a strategy to show off your unique WHY? Why, we’d be happy to!